Hot Rolling Mills do metal processing work that occurs above the recrystallization temperature of the metal that is to be rolled. Sheet metals with simple cross section are produced with the process of hot rolling such as rail tracks. Do you know how a hot rolling mill works? Most replies would be no. The metal is prevented from work hardening by recrystallizing the deformed grains in hot rolling mills. The process starts with large pieces of materials. 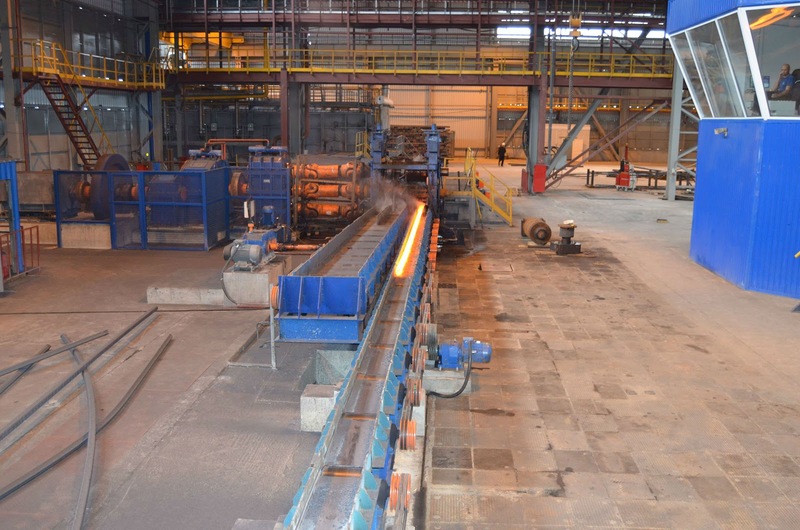 Generally, these products are fed into the rolling mills directly at a proper maintained temperature if they came from a continuous casting operation in the hot rolling mills. The operations which are at smaller level, the materials must be heated which starts at room temperature. Oil- or gas-fired soaking pit is used for larger workpieces and for smaller workpieces induction heating is used. In hot rolling mills, the temperature is under continuous monitoring to ensure that the materials remain above the recrystallization temperature as the material is being worked. A finishing temperature is defined in every hot rolling mills that remain above the Recrystallization temperature for safety factors. If accidentally, the temperature goes below the recrystallization temperature the material must be reheated before further hot rolling. It is to be noted by you that hot rolled metals which directly comes from hot rolling mills generally have a little directionality in their mechanical properties and deformation induced residual stresses. Still, in certain cases non metallic inclusions will show some directionality. H-beams and I-beams are those residual stresses that have non-uniform cross-section which is induced due to non uniformed cooling. All finished products in hot rolling mill machinery are of good quality. Mill scale is an oxide that forms at high temperatures on the surface of the finished products. It is removed in hot rolling mills with help of of the processes called pickling or the smooth surface process which helps us in retrieving the smooth surface.